A normal working day at the polo ranch in Argentina. 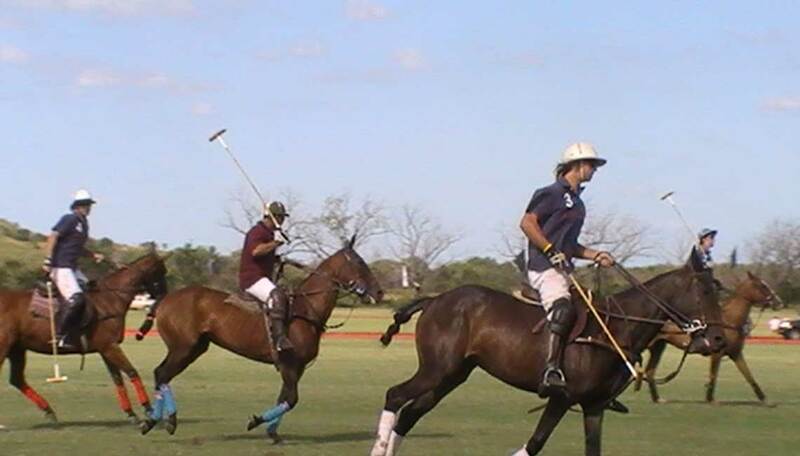 My labour day at the polo estancia started at 8:30 in the moring. Generally I got up one our earlier for breakfast and to prepare myself for the day. Bring good sun protection with you. Without using it you will get a sunburn within 10 minutes. At 8:30 you go to the “container” box, the meeting point for the employees. Everything is managed from here. From the accommodation to the container it´s about 5 to 7 minutes walking. In the morning you ride the horses from the corrals on the premise to the main corral that is near the container. 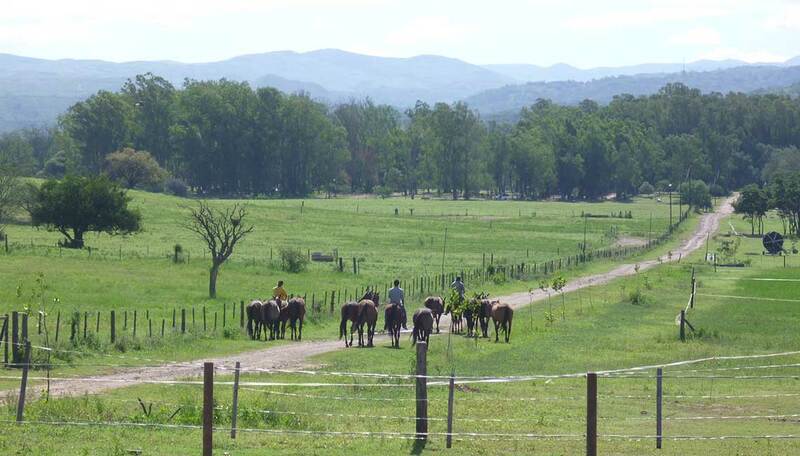 You will not doing this alone, an argentinean horse keeper (peticero) are coming with you. Then you brush up the polo ponies and clean the saddles and horse tacks. Lunch time is at 12 o´clock in your accommodation, the guest house. Siesta time goes until 14.30. 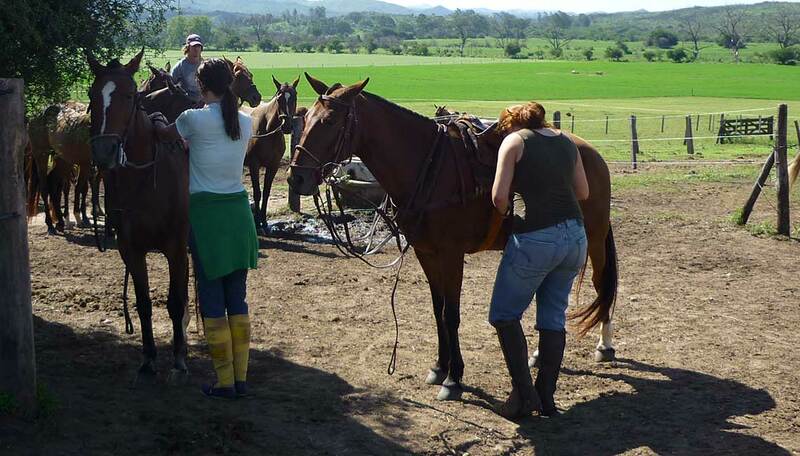 In the afternoon you get the ponies ready for the sportsmen, the polo players training at the ranch. Afterwards you feed the horses, clean them by giving them a bath,…). Approx. 300 horses on the ranch but there are no stables. The climate is so mild that the horses can stay at their corrals all the time year round. Over 300 horses in stable would mean a lot of cleaning stable work and no time for anything else. At 19:30 you bring the horses back to their corrals, changing every day and clean the container and all used tools. 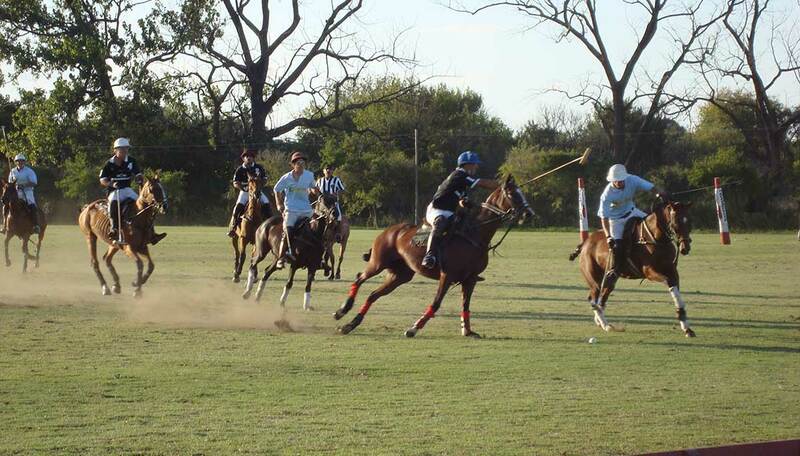 At 20:00 o´clock a labour day at the polo estancia ends. 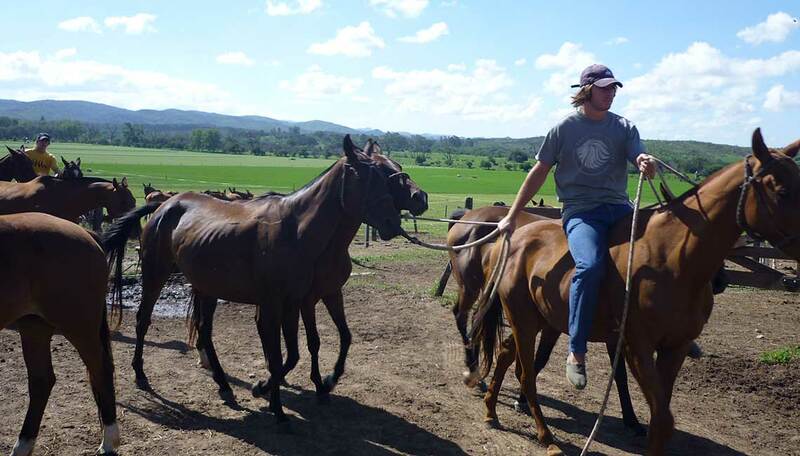 You will be on a horse every day and If you like you can also train your polo skills. Just ask the peticeros if a horse is free for you to ride. As a polo beginner it is not possible to “play” actually polo because you need years of experience. Galloping a horse with one hand and swinging a polo mallet with the other (without injuring someone else) and then striking the tiny polo ball is very hard to achieve. But practise some beginner´s exercises. I lived in a small guest house on the premise of the polo ranch. In the guest house there´s a kitchen, a simple bathroom and in the hall a couch and if you want a TV. Mostly you will stay alone in the guest house which is used by visitors, especially during polo events on the ranch. On the weekends you have the possibility to go back to Córdoba city because the owner commutes to Córdoba almost every day and can give you a lift. Or you can take the bus. It was a very nice experience and I miss my wonderful days on the polo ranch in Argentina.